Dr. Ildikó Orosz is reporting from one of her lobbying tours in Brussels on Hungarian TV. Beregovo is in Zakarpattia, the western province of Ukraine. It has 1.2 million people among them 150,000 ethnic Hungarians, although Ukraine claims a smaller number, about 100,000. Almost a hundred years ago the area was part of the Austro-Hungarian Monarchy and for a period between 1938 and 1945 it was occupied by pro-Hitler Hungarian ruler Miklós Horthy. Recently the relations between Hungary and Ukraine have hit a new low. Ukraine has announced plans to deploy up to 1,000 troops near the Hungarian border. Yes, troops at the Hungarian border. “Ukraine’s explanation that the deployment is necessary to counter a threat to its territorial integrity means that they (members of the Ukrainian national government) consider Hungarians – the ethnic majority in this particular area (of Ukraine) – as a threat,” said Hungary’s foreign minister Péter Szijjártó. Ukraine has a lot to worry about. Russia has annexed Crimea and Putin-supported separatists have taken over the eastern edge of the country. Now a small group of ethnic Hungarians financed by Hungary, among them Ildikó Orosz, are causing trouble in Western Ukraine. Ukraine says that Mr. Orbán has bankrolled self-proclaimed “politicians” to destabilize the region. The Hungarian action supports Mr. Putin’s agenda. Dr. Ildikó Orosz with Viktor Orbán – visiting Beregovo (Beregszász in Hungarian). Not so with the Hungarians. The Orbán government and their local lobbyists want a legally-binding guarantee from the Ukrainian government that it will cancel the controversial education law and table any similar future initiatives until at least 2023. Since Ukraine won’t cancel the law Hungary has decided to retaliate and block Ukraine’s Euro-Atlantic integration efforts. (Ukraine is trying to build closer ties with the EU and NATO with US help.) The gloves are off and the conflict is not about language anymore, it is Orbán showing loyalty to Russian strongman Putin who also opposes Ukrainian EU and NATO integration. The Putin-Orbán tag-team is hammering Ukraine from east to west. 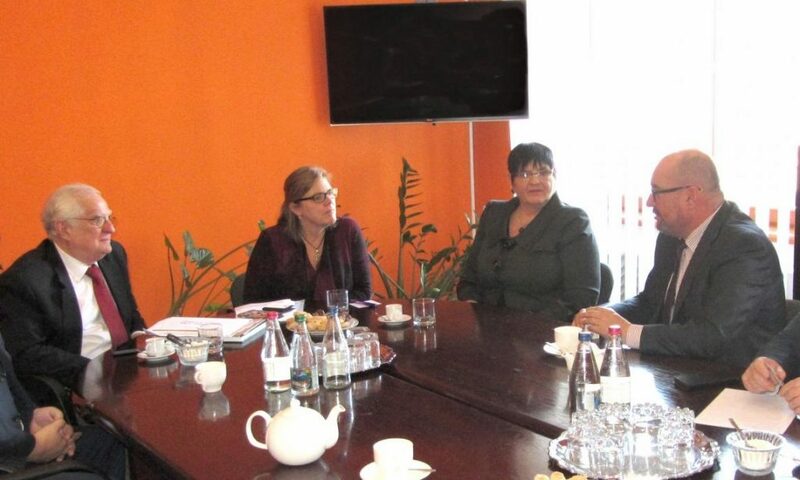 Mr. Zsolt Szekeres (left), Ms. Andrea Lauer-Rice, Dr. Ildikó Orosz and Mr. László Brezovics (right) on a meeting in Ukraine. OK! Those who are brutally trampling on the basic rights of historical minority groups are the good guys, while those who try to stand up for those rights are the bad guys. Got it! With Hungarians like you do we need enemies? BTW, Romania & Poland both decided to throw those minority groups under the bus, in favor of pursuing the pro Washington alliance. Both countries are rabidly Russophobic culturally speaking, to such an extent that they could never find themselves on the same side even if it is for the protection of ethnic Romanians & Poles in Ukraine. Not something to be praised in my opinion! Hungary’s position in this regard is 100% correct, while this article is the perfect example of anti-Hungarian bigotry that percolates on the Hungarian left. And then you wonder why you are increasingly being rejected by fellow Hungarians. We have already reported in HFP on the troubling nature of Ukraine’s new minority schooling/language laws, particularly from the perspective of the Hungarian minority. The point of this article by György Lázár is to note that using NATO membership in the way that Hungary has chosen to use it is not the right tool to achieve a better outcome for the Hungarian minority. No, he is demonizing and trying to discredit the ones standing up for those rights, claiming that they are not really doing it for those rights, but rather because they want to help Putin. Thus, in effect he aligned himself with the Ukro-Fascist position in this regard. “The Putin-Orbán tag-team is hammering Ukraine from east to west.” In other words, Ukraine is the victim here. And with all due respect, what Hungary is doing is in fact the right thing to do. 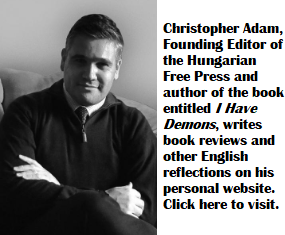 Romanians & Poles are in fact benefiting from Hungary’s position, which they themselves would have never taken, because of the above-mentioned constraint. If it were not for Hungary’s position, there would be no compromise on minority rights for them to discuss with Ukraine. Ukraine would have just gone on with this chauvinistic business. Ukraine should be the one who should be told to stand down in this regard, not Hungary. The fact that some Hungarians as well as EU & NATO partners see it the opposite way, once more shows the lack of morality among segments of society. BTW, showing fists down the throats of Ukraine’s Russian minority is not any more morally right than doing it to anyone else, so in fact Putin has the moral high-ground on this one as well. Offered to him exclusively by the extreme nationalist, bigoted, intolerant position of Ukraine from the first day that Yanukovic was ousted. They are the ones in the wrong on this one, and they need to be told to change their position in order to get along. Other than that, how do you think an ethnic Hungarian from Ukraine would feel after reading this article? Perhaps you should take a step back and contemplate that for a moment! Wow, that photo scared me ! Is she out to grab Orban’s hand ? On the subject; stay out of the internal affairs of any nation. Nationalism can be a very dirty and dangerous business. He who stands for everybody’s human rights, best advance it by setting examples. It would be about time to start that in Hungary, and make it a shining example for all the neighboring countries. If Ukraine were to apply Hungary’s policy towards historical minorities, such as Romanians, Slovaks, Germans and so on, we would not have a problem. So, yes for Ukraine, Hungary can in fact be an example to follow right now. The problem is that you,and many others ,do not accept your fellow human being as your fellow citizens. Just why the hell do you discriminate against any one ? Accept every one same as you, that there will be no problem in this world ! Or at least may be at bit less problems. The fact that the Hungarian majority has agreed to give historical minorities such as Romanians & Slovaks more rights than the much larger ethnic Hungarians population enjoys in Romania & Slovakia, shows that Hungarians as an overall society are currently more tolerant than their neighbors in this regard. Hungary offers cultural autonomy for historical minorities, which is a collective right, which most of its neighbors do not. Going back to your original comment, you said that Hungarians should lead by example. In this case they do, as I pointed out because if Ukraine were to adopt Hungary’s current policy in this regard, there would not be an issue. Mr. Lazar you are an excellent lobbyist for Ukrainian fascist policies! This report of Dr. Lazar is even more annoying to me than his previous ones. My grandfather was born in 1873 some hundred miles East of the Carpathians as a citizen of the Austro-Hungarian monarchy. Like all Russophobe and Hungarophobe politicians, this writer forgot to mention that the borders of Ukraine were drawn up over-generously by former Ukraine commissar Nikita Khrushchev around 1953 at the expense of all its seven neighbors. Only one of them, Russia was in the position to correct the mistake; the Crimea had nothing to do with Ukraine. For the Slovaks, the Romanians, and Hungarians, it’s too late to complain about the injustice of having the borders inside the Carpathians, considering all the ethnic cleansing that took place, but the least their governments can do is to demand all pertinent rights for self-determination for the minorities, including the Hungarian one. Even my communist brother is in support of PM Orban’s policies in this regard. There is obviously nothing Viktor Orban and the Fidesz can do that would not draw a scathing commentary from the excellent writers of the Hungarian Free Press. So sad that you have elected to represent the views of the tiny left wing of Hungarian politics and have such a poor understanding of the Hungarian majority. I hope no one is paying for what seems to me pure propaganda. Allow me a couple of comments. It seems that Mr. Ludanyi is shifting the blame of the recent firebombing to the Ukrainians. In fact, police reports show that this act was a Russian provocation executed by Polish far right operatives. (Confirmed by Polish authorities!) It was not an act anti-Hungarian sentiment in the region and please not blame the Ukrainians. According to Mr. Nagyváry borders of Ukraine were drawn up over-generously by former Ukraine commissar Nikita Khrushchev around 1953 at the expense of all its seven neighbors. Well, the border between Hungary and Ukraine was drawn up almost a century ago, Khrushchev had nothing to do with that. The Ukrainian troop movements indicate that the conflict won’t be resolved with Hungary grandstanding and fiery rhetoric; diplomacy ad negotiations are needed. Mr. Orbán and his lobbyists’ pro-Putin agenda just complicate the issue and the Coalition in the US is making a mistake when lobbying for Orbán in this matter. Allow me a couple of Comments! First of all, Ukrainian authorities cannot be trusted in this matter. The fact that Rusophob Poland accepted Ukrainian version of events out of their own personal convictions, does not make it any more credible. Poland threw their own fellow ethnic kin under the buss in this regard, what would make anyone think that they are not willing to do the same to ethnic Hungarians? Do you remember the dozens of ethnic Russians who were burned to death by Ukrainian fascists in Odessa a few years ago? To this day, not a single person has gone to prison for that atrocity. That is the extent of the credibility of the Ukrainian government as things stand right now. The fact that you would bring that up in this conversation says everything about your own convictions. As was the case with other conversations, you seem to foster outright hatred and bigotry towards ethnic Hungarians living as a minority at the hands of neighbors. You seem to be a Gyurcsany Hungarian in this regard. The fact that you eagerly accepted and are trying to promote Ukraine’s whitewash of such hateful incidents only reinforces your reputation, which was already enhanced by your article, in which you basically portrayed Ukraine as the innocent victim, even as it tramples on the very basic rights of ethnic Hungarians, and Hungary as the aggressor for the fact that it dares to stand up to Ukraine’s hateful behavior and is willing to use the means at its disposal as leverage in the issue. Other than that, your article and comments are full of lies and distortions. For instance, your argument of Orban having a “pro-Putin agenda”. Hungary has been providing the Ukro-nazis with natural gas flows for years now, in their standoff with Russia. Furthermore Hungary is one of the countries which actively opposed the construction of Nord Stream 2. Yes, Hungary also looks for business opportunities with Russia, but not any more so than Germany for instance. Hungary’s position in this regard is pragmatic, as it should be. Also, you are mis-representing the positions of Romania & Poland, as being good policy, while in reality they simply abandoned their ethnic kin in Ukraine, in favor of their grander Rusophobic interests. The only reason why Ukraine has been willing to talk concessions on their position is because of the pressure put on by Hungary. Otherwise they would simply tell Poland & Romania to go fly a kite, given that they have done nothing to apply any pressure for them to change. The fact that they are lashing out at Hungary & Hungarians, while seemingly rewarding Poles & Romanians for their betrayal of their ethnic kin, does not make Hungary’s position ultimately wrong by any means, especially on moral grounds. Making Ukraine’s oppressive, hateful behavior costly may or may not produce the results in this regard, but doing nothing would have definitely led to ethnic Hungarians in Ukraine simply being trampled on, with more on the way, given that it would have been cost-free to do so. The one who is truly being morally despicable here is frankly you!